“I just closed on my first house with the LK team, and I must say the combination of service, information, and availability was highly impressive. I would recommend (and I have) the LK team if you want an experience in buying a home that will feel seamless and smooth. If I was to summarize my experience in three words, it would be “ pride in ownership”, and that’s what you get with the LK team of associates. Leo and Katherine exceeded my expectations from start to finish, and I am very happy with the results. Why go to a place where you will be treated like another numbered client, when you can experience the excellent service that will make you a repeat client. Leo and Katherine are true professionals. “Simply the best!!!! I highly recommend Leo and Katherine if you want honest, qualified, trustworthy professionals!! I chose Leo and Katherine after interviewing agents. Leo did not get upset or pushy when I explained I had a wonderful first impression, but wanted to interview others before signing. No one could compare to them! They are professional, and personable too. Leo really listened to my unique circumstances and was comfortable working with them. I had an elderly parent and autistic son who required advance notice. They literally had to meet everyone who was interested in a showing. Leo and Katherine also held an open house every weekend for the 3 weeks it took to sell. They were available when I called 7 days a week, and if I had to leave a message they got back to me within an hour or less. I know the reason they sold my house so quickly was because of their incredible work ethic. They had a professional video uploaded to youtube, sent out thousands of high quality color half sheet postcards, and featured my home on the busiest websites! Again they went above and beyond when I needed a few easy fixes for code issues. Leo and Katherine came over within 15 minutes of my son calling because I could not get my old saw to cut through a 2×4. Not only did Leo and katherine bring a hack saw, but Leo insisted on cutting the piece off for me! If you want the best call Leo and Katherine.” YELP REVIEW Many M.
“I met Katherine through a mutual gym and it started off with me asking her a few questions regarding our house hunting. Then I asked her if she could help us with finding a home around Riverside. 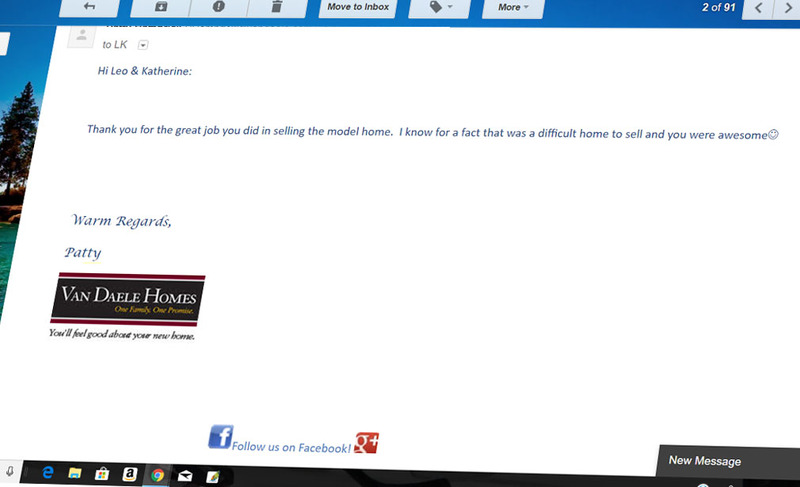 She was very friendly and so helpful with lots of information for first time home buyers. I got to meet her husband Leo, and the both of them have shown us homes and really answered our questions thoroughly. Although we are putting a hold on purchasing at this time, I HIGHLY recommend them! If you want someone to help you find what you are looking and are friendly and easy to work with, then they are your best bet! They are also VERY quick in response time whether it be email or text. We will definitely be coming back to them when we are ready for purchase! Thanks again Leo & Katherine!” YELP REVIEW Genel M. “Amazing!!! Leo and Katherine are truly some of the most honest, kind people I have met over many years. I had the pleasure of working right next door to them. My brother rented a house from them, so I would go in to pay his rent. My husband and I had been dealing with other realtors, and we had been looking for a home for quite some time, and we had some history with a BK, and just a very complicated situation. Every time I had a question regarding anything to do with a short sale, BK, foreclosure, etc., I would go next door and Leo and Katherine would always take the time to talk to me, and explain to me anything I wanted to know. Finally my husband and I wised up and dropped the other realtors we were working with and Leo and Katherine started working with us, in no time we found our brand new home that we are 100% happy with thanks to the two of them. They were there day and night, weekends and holidays (no joke) anytime I needed them they were available. You don’t find hard working, genuinely nice people so much these days. They are very knowledgeable in what they do, and I am so thankful that I was introduced to them. I would and I do recommend them to anyone I come across that is looking for a rental, a purchase or anyone who just has general Real Estate questions. Thank you Leo & Katherine! !” YELP REVIEW Crystal L.
“We have just received SUPERIOR service from Leo and Katherine at LK Associates. They were very professional and truthful in every aspect of helping us sell our home, the first day on the website, and finding us the perfect new home. After scouring the multiple online listing websites I thought I knew it all and would send them several new addresses daily to view but it wasn’t until I let Katherine and Leo take the lead that they found us the perfect house. They really know what they are doing on a professional level and yet you feel they are personally vested. I am hoping this is my last home purchase but if I ever need a real estate agent again I wouldn’t consider calling anyone other than Leo & Katherine.” YELP REVIEW Chuck V.
“Leo & Katherine are the best agents I have ever had worked with. I was previously in the business myself and we have bought and sold several homes over the years. Our daughter used Leo & Katherine to sell her home and had a good experience and so we gave them a try. From the very beginning they were professional, responsive, and accommodating. They took an outstanding video (that made our home look better than in person;-) ) and began a marketing plan to sell our home. We had showing restrictions and they ensured they accommodated our requests. They kept us informed at every step – with feedback from every showing. They are beyond just being professional – they are both two kind souls that really do care about supporting your decision. When there were bumps in the process – they were right there to take care of them in any way they could. If I am ever in the market to buy or sell again, I would not even contact anyone else. I highly recommend them both!” YELP REVIEW Cathy E.
“Leo & Katherine were great. I was impressed by their attention to detail and their willingness to do whatever was necessary to complete the sale. They are honest and trustworthy. Within a week of listing my home, they had an offer. I highly recommend them. They made me feel very comfortable.” YELP REVIEW T G.